Marlon Gardinera is starting his second year as head coach for Scripps Ranch High School (SRHS) football, and he is shaking things up with what some might call an unconventional approach. Not historically known as a powerhouse football team, SRHS has struggled in the past to attract and retain top football talent, often losing promising players to private schools. What SRHS and the surrounding community do have plenty of, however, are bright students with the capacity to excel in the classroom. 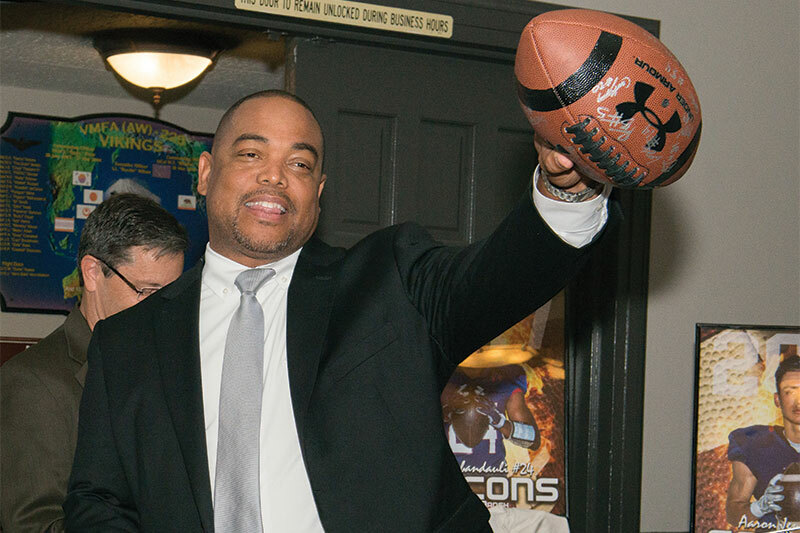 Gardinera, or Coach Marlon – as he is known in Scripps Ranch – recognizes that this aptitude, combined with the real-world skills that can be learned through playing football, provides a recipe for achieving success on and off the field. 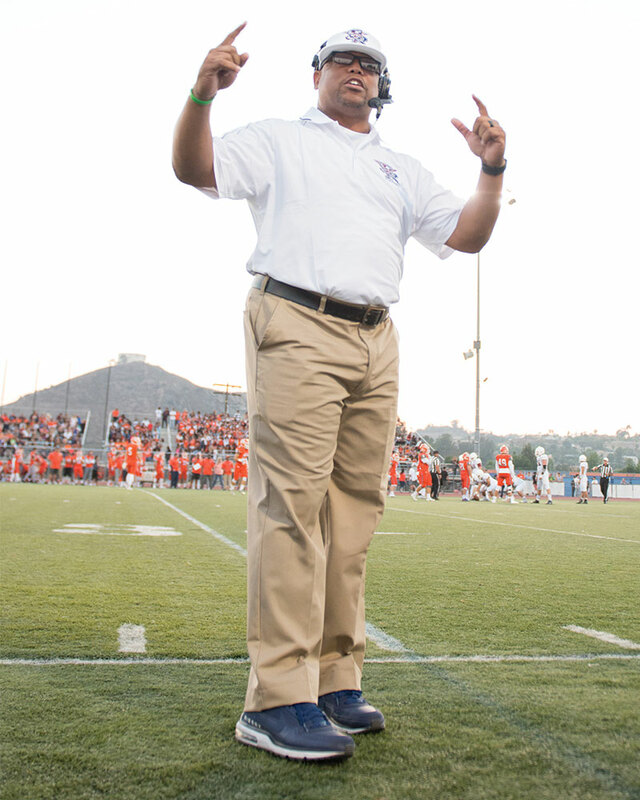 Having played competitive team sports in high school and college, himself, followed by a successful professional career in corporate management for the last 23 years, plus eight years of coaching Scripps Ranch Little League and Pop Warner Football, Gardinera knows a thing or two about success both on and off the field. Gardinera established a 2.5 minimum grade point average (GPA) requirement for students to play on his teams, which is one half point higher than the school district requirement of 2.0. On the whole, however, the team’s collective GPA far exceeds the minimum. In the 2017-2018 school year, according to Gardinera, the team’s average increased from 2.97 to 3.24. Parents have expressed their support and enthusiasm for the changes Gardinera has implemented. Adria Shaw has two sons at SRHS; one who is an incoming freshman and another who will be entering his junior year as a varsity football player. Kevin Merrigan – father of Riley Merrigan, who is entering his second year on the team – has lived in Scripps Ranch for 22 years and reflected on the SRHS football program, historically. While a focus on academics under Gardinera is evident, the physical preparation necessary to realize success on the field also remains a priority. Hasson said that they are working diligently to change the culture, but recognizes that it is going to take time. It will also require a collective effort, according to Riley Merrigan.